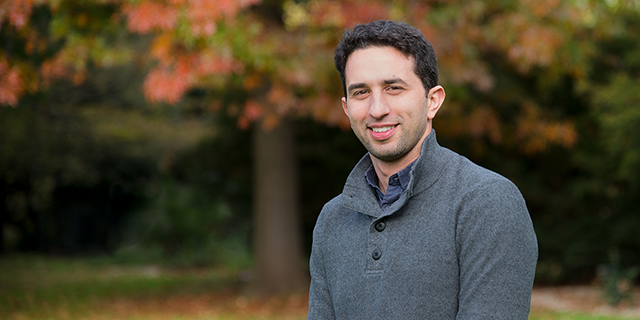 Congratulations to Associate Professor Enzo Porrello (Dept. Physiology) who has received a $50,000 Metcalf Prize from the National Stem Cell Foundation of Australia in recognition of his leadership in stem cell research. Enzo’s research work explores newborn heart development to develop heart attack drugs and engineer ‘artificial pumps’ from patient stem cells. Enzo wants to understand why this ability turns off, so that he and colleagues can switch it back on to heal broken hearts. Understanding regeneration could lead to new treatments for different types of heart disease, the world's biggest killer, from birth defects to heart attacks late in life. "I recently showed that the hearts of newborn mice can regenerate after a heart attack," Enzo said. "But this self-healing ability rapidly diminishes in the days after birth." Enzo thinks there is a similar capacity in humans. He is using stem cells to recreate the development of the heart in the lab to study the processes and the genes involved in turning self-healing on and off. He wants to develop drugs than can stimulate heart muscle cells to rebuild after a heart attack. The human heart is one of the least regenerative organs. Heart muscle cells, or cardiomyocytes, lose their ability to replicate and divide soon after birth. Most heart growth after birth comes from the heart muscle cells getting larger. If adult cells are damaged, the body can't repair them. Enzo has had an interest in science and medicine for as long as he can remember, but he feels a personal connection to heart health. Two of his cousins were born with a hole in their hearts. One lived a full and healthy life because the hole in his heart healed over time. Sadly, the other cousin died from his condition at the age of nine. "My cousin's heart disease has been an inspiration," Enzo explains. "Congenital heart disease kills more children under the age of one than any other disease. It can also cause heart defects and life-long health problems." Enzo is also one of the key investigators in a new consortium involving Stem Cells Australia with funding from the Medical Research Future Fund. This team of stem cell scientists, tissue engineers, cardiologists and cardiac surgeons will develop stem cell technologies specifically for childhood heart disease. "There's been a lot of interest in using stem cells to treat heart attacks in adults. But there's been much less work on regenerative therapies for childhood heart disease." Enzo says the consortium has received funding to develop engineered heart tissue that can contract and pump blood, derived from the patient's own stem cells, making it less likely to be rejected. "We're working towards implanting these artificial pumps into children with some of the most severe and complex forms of congenital heart disease. It's an exciting application of stem cells and tissue engineering." Each year, the National Stem Cell Foundation Australia awards and celebrates two exceptional mid-career stem cell researchers with the Metcalf Prizes for Stem Cell Research. The awards are named for the late Professor Donald Metcalf AC. Over his 50-year career, he helped transform cancer treatment and transplantation medicine, and paved the way for potential stem cell therapy in the treatment of many other conditions.